Want to join Gold Coast Paddle Club? Login or register first. 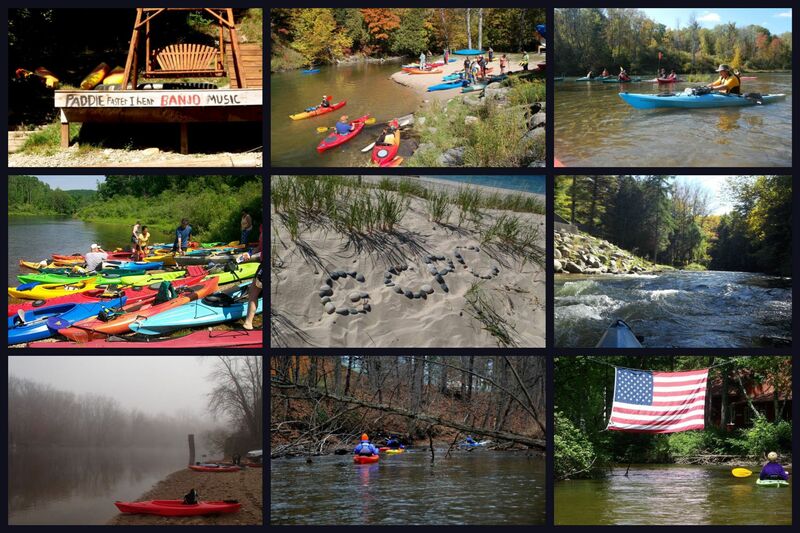 If you are an avid kayaker or canoeist looking to get out and meet others who share your passion, then you hav found the right place.The Gold Coast Paddle Club is an easy going group of experienced paddlers from the West Michigan area who enjoy paddling the many rivers Michigan has to offer. We are a very diverse group of boat owners which includes all ages and skill levels with both married and single members. There will be trips planned throughout the year, including camping in the spring/summer/fall and cold water paddles in the dead of winter. Since we seldom paddle where there are rental services, we welcome all paddlers who own or have access to a kayak or canoe to join Gold Coast Paddle Club. So what are you waiting for? If you have a boat sitting around, dust it off, load it up and let's go paddling! By signing up as a member of the Gold Coast Paddle Club and/or attending an event, you and your guests or minors (if applicable) accept that kayaking/canoeing can be a dangerous sport and fully assume all risks associated with such participation, including travel to and from the event. You agree to be responsible for your own safety and equipment; and realize that waterway conditions, obstacles, and weather, are always changing. You and your successors agree to hold all Organizers and other GCPC members harmless in the event of equipment loss or damage, injury or death. Gold Coast Paddle Club has not been rated yet. Gold Coast Paddle Club has hosted 22 events and has 1 planned. A "typical" paddle goes like this: Arrive at the Put-In site a little before the Start Time. Unload your boat and gear; get everything ready to paddle. Lend a hand to others, meet some new folks, hug some old friends! When everyone's ready, drive all the cars to the Take-Out (a few folks will stay behind to watch the boats and equipment) - then a couple of drivers will shuttle everyone back to the start. We have a quick discussion of anything to be aware of on the river; maybe a few photos - and we're off! At the end of the paddle, everyone again lends a hand loading boats; and those who have some extra room will take the shuttle drivers and their boats back to the put-in and their vehicles. Depending on the location, we might meet afterward at a fun eatery for a meal and some refreshments :-) Come join the fun! !